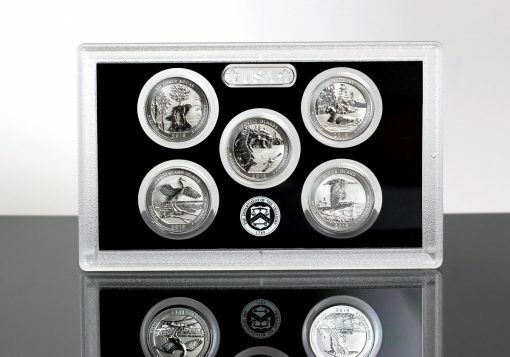 More than half of the 2018-S Silver Reverse Proof Sets have already been ordered. 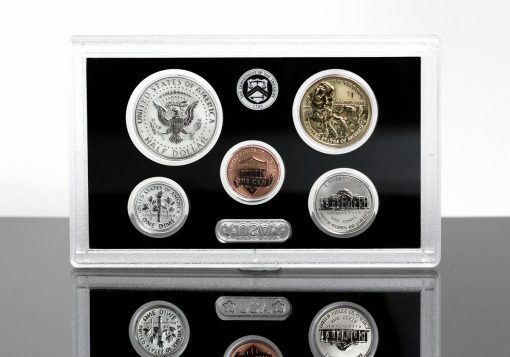 The collectible’s first-day sales reached 106,108 sets, according to United States Mint spokesman Michael White, for 53.1% of the allotted 200,000 sets. The 2018-S Silver Reverse Proof Set includes two protective lenses to hold its 10 coins. This CoinNews photo shows the lens for $1, 50c, 10c, 5, 1c coins (obverses shown). Celebrating the 50th anniversary of proof set production at the San Francisco Mint, the 10-coin set launched on Monday, July 23, for $54.95. Each coin bears the SF Mint’s ‘S’ mint mark and features a reverse proof finish with mirrored designs against frosted fields or backgrounds. 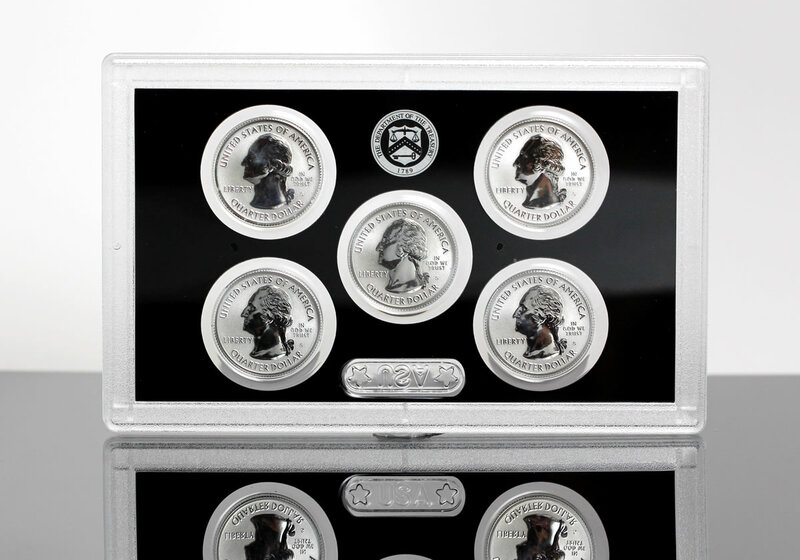 By contrast, regular proof coins have frosted designs against mirror-like backgrounds. Sales of the set opened with a household order limit of 10. That restriction was lifted today, July 24, at noon Eastern Time. I bought 10 sets but the production numbers are too high again. Jeff TX: I agree. Just ref the 2017-S 225th Anniv. Enhanced Set final sales figures. This set to me will be a sleeper item. Wanted more and more as time goes bye. Low mintage of a one of a kind item. Couple of firsts only with this too. This set will be a winner in time as it has a couple of first . Silver will rebound back up to $18 by December of next year. Low mintage total will make this set hard to find in OGP, which also looks great. I agree w/ You 100% abt this set being a sleeper. I immed. bought 3 of them and put all in my Safe Dep. Box for future considerations !! and many other mint items (too numerous to mention here)………………..BEST !! Me too I don’t have that much in graded stuff, just some Morgan’s and ASE. Lots of coins currency stuff in my collection. Started off in pocket change then buying things in 83. The history of the items and history covered by the coins. Dave my Grandpa turned me onto coin collecting with the stuff he knew . He knew lots about his coins. Like the Kennedy one dollar and radar notes in the currency. Sounds like you have been collecting for some time yourself.The earliest coin I have is a 1842 large cent. Mainly US stuff some Canadian back in 83. I collect for fun and history. down the road, for sure. Your Grandpa seems to be a very wise man. It is always good to learn from your elders, for sure……. I did too. Keep on collecting !! by 8pm last night 7/24/18 there were 37 posts on this article, now there are only 4 i didn’t know they deleted them. why? i enjoy looking them over sometimes if i wasn’t on this site yesterday , and only saw 4 today i’d think there was no interest in these sets. Not a big fan of reverse proof coins, almost seems unnatural. I bought one anyhow to throw into the mix. Now if the mint could just put the date and mint mark back on the face of the dollar coin, wouldn’t that be nice!! What is the number pressed into the quarter lens and why are they different? I’ve got #0, 01 going up to #127 at the highest. These can’t be numbered, right? That number I noticed years ago is a quality control number by the private company that makes the plastic lenses (holders) for the Mint. Will anything make you guys happy? I like it & by the holidays this set will sell out. Just bought one, may never be worth much more than that but I find these reverse proofs beautiful. 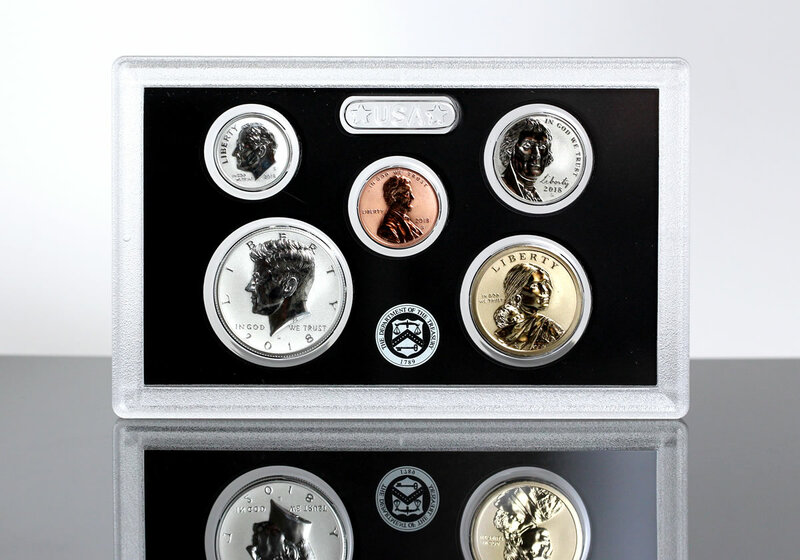 And it is a commemorative set for a valid numismatic event. Completing the 50 years of base metal coinage (except maybe the Type II issues) isn’t difficult or expensive, so this fits with an easy series.